Swiss Life increased adjusted profit from operations by 7% to CHF 680 million in the first half of 2014; net profit stood at CHF 487 million, 3% up on the same period in the previous year. Swiss Life achieved profitable growth in the first six months of 2014 and increased premium volume in local currency by 5% to CHF 10.8 billion. Fee and commission income rose by 7% to CHF 587 million. Swiss Life made further operational progress in implementing its "Swiss Life 2015" strategy. The new business margin was increased to 2.4% from 2.0% in the first half of 2013; the value of new business rose from CHF 141 million to CHF 185 million. The home market in Switzerland was a major contributor to the strong first half result, improving new business profitability, reducing costs and growing premium income by 12%. Swiss Life posted a strong performance in asset management. The direct investment yield remained on a par with the previous year at 1.7% and the net investment result came to 1.9% (HY 2013: 2.4% non-annualised). Net new assets in external customer business amounted to CHF 2.2 billion. The Group's solvency ratio climbed 33 percentage points to 243% compared to year-end 2013; excluding unrealised gains and losses on bonds, group solvency increased by 2 percentage points to 198%. Shareholders' equity rose by 22% to CHF 10.9 billion. Swiss Life is purchasing CORPUS SIREO for EUR 210 million. This will make Swiss Life a leading real estate asset manager in Germany (see separate media release from today). "The consistent implementation of our Group-wide programme 'Swiss Life 2015' is paying off and improving our position in the market," says Patrick Frost, CEO of the Swiss Life Group. "Higher fee and commission income, profitable growth with a further improvement in the new business margin, and a good investment result are the cornerstones of this pleasing result." Adjusted for one-offs and currency effects, Swiss Life increased profit from operations by 7% in the first half of 2014 to CHF 680 million (HY 2013: CHF 638 million) and net profit by 3% to CHF 487 million. The home market of Switzerland made the biggest contribution with a segment result of CHF 407 million (HY 2013: CHF 472 million). The previous year's figure was impacted by a positive one-off effect of CHF 60 million from the application of a new accounting standard for valuing real estate portfolios. Swiss Life France posted an increase in profit of 27% to EUR 97 million (HY 2013: EUR 76 million), primarily driven by a further rise in sales of unit-linked contracts, a good investment result and a higher combined ratio in health and non-life business. Swiss Life Germany increased its contribution to profits by 2% to EUR 41 million compared to the same period in the previous year. The International market unit more than doubled its contribution to profits from CHF 8 million to CHF 18 million following efficiency gains. Swiss Life Asset Managers improved its segment result by 4% to CHF 74 million as a result of higher fee and commission income. In the first six months of this year, Swiss Life increased premium income compared to the prior-year period by 5% in local currency to CHF 10.8 billion. The home market of Switzerland was the largest contributor, growing premium income by 12% to CHF 6.6 billion. This very positive performance was particularly driven by the occupational benefits business (“berufliche Vorsorge”), which generated CHF 5.9 billion (HY 2013: CHF 5.3 billion). Premium income also grew in private client business, up 11% to CHF 737 million. In France, premium volume came to CHF 2.4 billion (HY 2013: CHF 2.3 billion), increasing by 4% in local currency and outperforming the market. In Germany, however, the Group saw a decline: Premium income fell by 8% in local currency to CHF 783 million. Premium income also contracted in the International market unit, falling from CHF 1.3 billion to CHF 1 billion. Swiss Life Asset Managers posted net new assets of CHF 2.2 billion in its external customer business, with assets under management for external customers standing at CHF 30.3 billion at the mid-year point. Swiss Life was able to increase the insurance reserves by 3% overall to CHF 141 billion. Fee and commission income rose 7% to CHF 587 million thanks to substantial increases in Switzerland (+16%), France (+13%) and in asset management for external customers (+17%). This was the main driver for the improvement in profits in the first half year. Swiss Life reports another good investment result in the first six months of 2014, maintaining non-annualised direct investment yield on a par with the previous year at 1.7% despite significant reductions in interest rates. The non-annualised net investment result stood at 1.9% (HY 2013: 2.4%) – a good result considering the comparable prior-year period was impacted by positive one-off effects from the application of a new accounting standard (IFRS 13) and higher realised gains on bonds. Shareholders' equity climbed 22% to CHF 10.9 billion thanks to lower interest rates during the first half year and the pleasing profit contribution. Group solvency increased accordingly from 210% at the end of 2013 to 243%. Excluding unrealised gains and losses on bonds, the Group's solvency ratio rose by 2 percentage points to 198% (FY 2013: 196%). Significant progress in implementing "Swiss Life 2015"
Swiss Life made further progress in the implementation of its Group-wide programme "Swiss Life 2015" during the first half of 2014: Thanks to successful margin management, the Group improved the new business margin compared to the first half of 2013 from 2.0% to 2.4%. The main driver of this positive development was Swiss Life Switzerland, which raised the new business margin from 2.4% to 3.0%. The value of new business rose Group-wide from CHF 141 million to CHF 185 million. Thanks to efficiency gains, adjusted operating expense remained virtually stable at CHF 674 million despite investments in growth programmes and process improvements (HY 2013: CHF 665 million, +1%). Patrick Frost: "The disciplined execution of our goals under 'Swiss Life 2015' underpins our strong performance in the first half of 2014. We are improving our efficiency and effectiveness and creating an ideal basis for continuing along the path of profitable growth and further developing our Group in strategically important business areas." The Swiss LifeGroup is expanding its position in real estate asset management and acquiring CORPUS SIREO, a leading real estate service provider in Germany, with retroactive effect from 1 January 2014. The sellers of the company are three German savings banks. The purchase price is EUR 210 million. 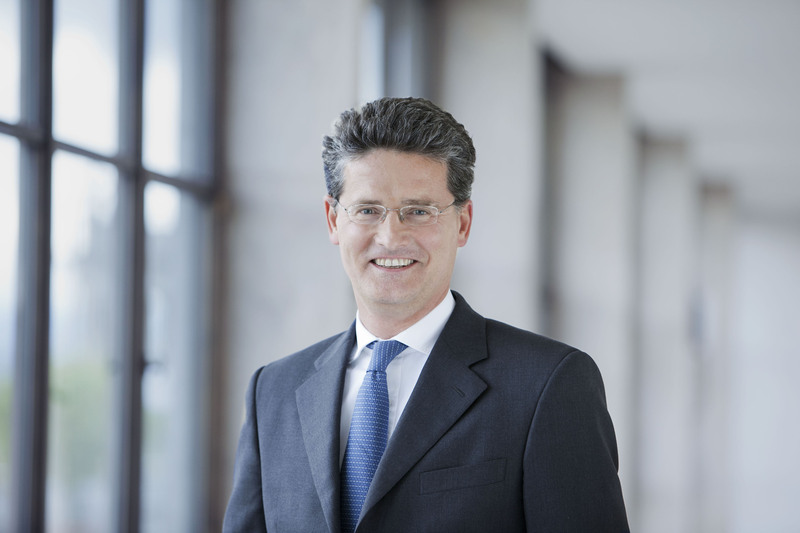 Nils Frowein, 50, CEO International since January 2013, will become a member of the Corporate Executive Board of the Swiss Life Group as of 1 January 2015. Nils Frowein has worked in various key positions within the company since 2008. He brings to the Corporate Executive Board a rich background of experience in the financial industry.